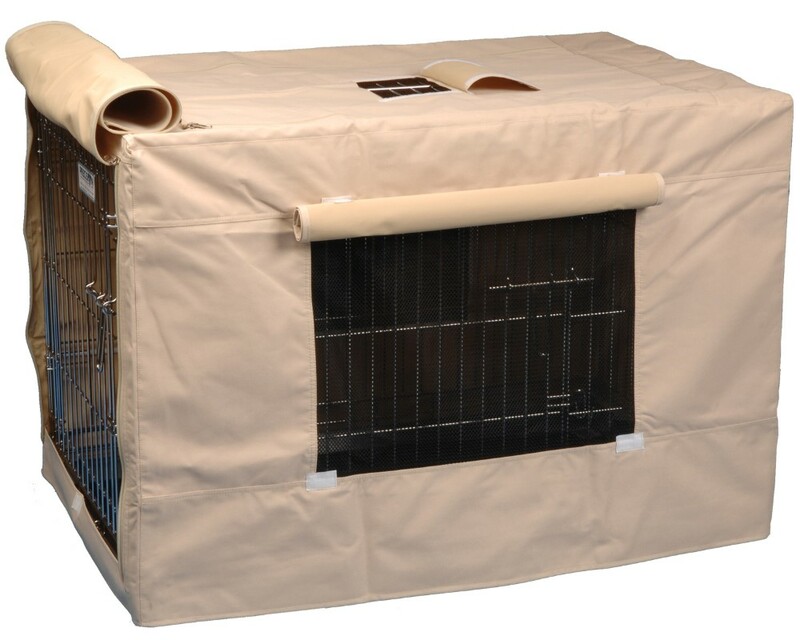 Precision's crate covers not only provide an attractive look to your wire crate, they provide a secure sanctuary for pets and offer comfort at home or when traveling. They also offer protection from the weather, direct sun, wind, bugs, and other outdoor elements. 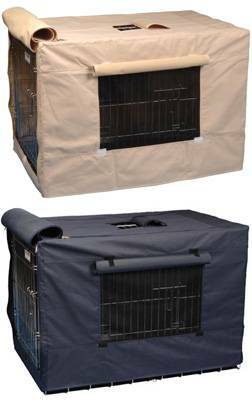 Great for indoor or outdoor use, this crate cover can be used with any Precision model 2000 wire crate and provides a tailored fit. A truly durable cover, this product offers reinforced corners & protected seams. 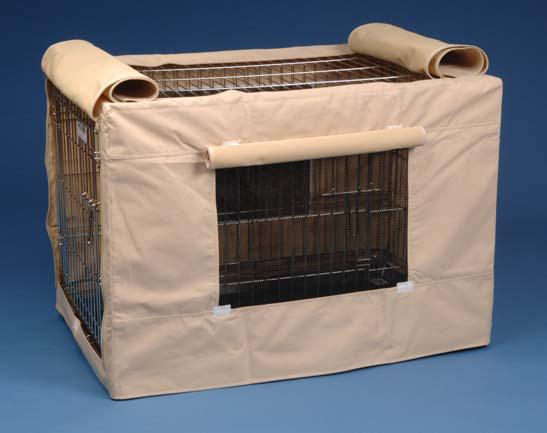 It is made of heavy-duty, water-resistant nylon canvas and will universally fits most wire crate models. Reinforced double-stitching and heavy-duty zippers allows for outside or inside usage. Side mesh windows with roller shades allow you to adjust visibility and ventilation and provide easy access to crate handle. Rear panel zipper allows a snug fit and makes cover easy to put on or remove. Machine washable.